Looking for an amazing placement? Jump straight to our jobs page! When you send off a placement CV, or a work experience CV, it’s like meeting the parents of your prom date. You have to make a good impression, and fast. We’ve put together a step-by-step guide to help you impress your prom date’s parents, and astound recruiters for placements and work experience. There’s even a placement CV template! Oh the excitement! POOR SPELLING & GRAMMAR - Don't rely on spellcheck. Why not ask your friends, family or university careers service to have a look at your CV before you send it off? This will minimise the chances of your application going straight into the reject pile. Spell the company's name wrong, and your CV will be set upon by a pack of starving hounds. NOT PROVIDING ENOUGH EVIDENCE - If you are struggling to think of different examples to demonstrate your skills, have a think about extra-curricular activities that might help illustrate them. For example, if you're in a sports team, even if it is Ultimate Frisbee, think about teamwork, leadership and organisational skills. Employers lose their minds for teamwork, leadership and organisation skills. ​NOT TAILORING YOUR CV - Different companies look for students who have the same values and qualities as their brand. Research the values and vision of the company you are applying to first and then give examples of why you match these values. For example, if you are applying to a small entrepreneurial company, then give examples of times when you have been 'entrepreneurial'. Do not start your placement CV by writing CURRICULUM VITAE at the top. That is what the CV-ripped-up-by-a-pack-of-starving-hounds-crew would do. Start with your name. Beneath that, you want to provide contact details. Your phone number, email and home address should be enough. A placement CV does not require you to send a photo with your CV. Only attach a photo if the recruiter asks you to do so. If you are sending in a photo, make sure it’s a sensible one. Shots from Magaluf 2018 or you panning for gold at LEGOLAND are probably not appropriate. A passport photo should suffice. This section of a placement CV seems to terrify people. It’s like asking people to jump into a lion enclosure, dressed as a wildebeest. If you follow a few simple steps, your profile should cause no trouble at all. Your profile is a short body of text that acts as an introduction to your placement CV. It should be no longer than 5 sentences. Your profile should outline who you are, why you are interested in this specific placement/company, and your career aspirations. Carefully avoid CV buzzwords, like 'motivated', 'driven' and 'passionate'. The overuse of these words bends the bones of employers. Give this article a read. Your profile must be tailored to the placement you are applying for. If you are applying for a placement year, you're going to need a placement cover letter. Check out our blog, Placement & Work Experience Cover Letter, for a splendid six-step guide to writing the best placement cover letter the British Isles have ever seen. 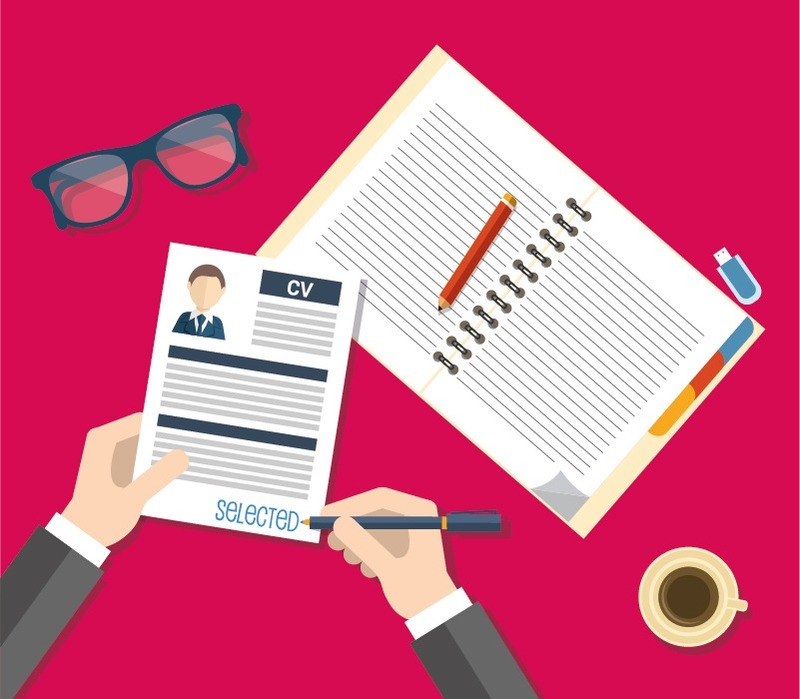 Recruiters can be inundated with CV’s when hiring for placement. The CV’s and cover letters pile so high they can’t find the door to get out of their office, and are marooned at their desks for weeks on end. Because of the high level of competition for placement applications, recruiters often don’t have the time to read every placement CV. This is why it is crucial to make an immediate impression on the reader. After your profile, the key skills section is where you make an impact. Draw up a list of your key skills and strengths. Put it in bullet point form, so it is as simple and readable as a Biff and Chip book. We designed a template to help you format your CV. If you follow this guide, and apply it to the template, recruiters will stage gladiator competitions to fight over your signature. The template is FREE to download! Students applying for sandwich-year placements can provide a predicted grade for their degree. Even if you haven’t finished university, employers want to know what you are working towards. It is also important to remember to put your most recent qualifications first. Your university grades at the top, A-levels and then your GCSEs. The education section is a good opportunity to tailor your placement CV to the job you are applying for. Draw attention to any modules or projects you have completed that are relevant to the placement. ​If you are applying for a business placement, you could reference case studies you have made on a company and their competitors. Maybe you are applying for a law placement, and you could mention a project you put together on the recent cases of a specific law firm. Step 5: Do you have previous employment or work experience? Employers invest a lot of time and money in placement students. For an employer, it’s like buying a flock of chickens. They will nurture you, so that you will work for them. So if they have been lured in by your profile and been seduced by your key skills, the next the thing the employer is looking for is relevant work experience. This does not have to be work that directly corresponds with the placement. The employer is looking for soft-skills and attributes that have been acquired during employment, that you can bring to their company. Like the education section of your CV, you should record your most recent employment or work experience first. Draw up a list of your key responsibilities and achievements for each example. If you worked on the cheese counter at Waitrose for a summer, focus on the responsibilities you were given. Did you open up or close the counter? Were you involved in pricing, or trusted with cashing up at the end of a shift? Were you allowed to reorganise the cheese? These are the things employers are looking for. Of course, if you have any work experience that is directly related to the placement, you will be catnip to employers. Remember to give start and end dates for each position you have held. There is also no reason for you to explain why a particular employment ended – that is a question that might be asked in an interview. The interests section of your CV is an opportunity to let the recruiter know a little more about you. An employer does not want to know everything. It is not Piers Morgan’s Life Stories. What are your passions and interests? What do you do with your time when you’re not on the cheese counter? Try and avoid interests that are individual-centric, such as watching T.V. or eating cheese. Focus on pursuits that are active and team-based. Playing a sport is groovy enough, but do you captain the team or organise their social events? Were you Player of the Year last year, or the most/least improved? Did you cut the oranges at half-time? You do not need to give your references’ contact details at the end of your placement CV. Once you have used this guide and template to write your placement CV, the employers will contact you about your references. It will be like the scene from Harry Potter and the Philosopher’s Stone, when the Dursley’s are hiding Harry’s letters from Hogwarts. There will be acceptance letters flying through the letterbox, letters bursting out of the fireplace, letters smashing windows, letters soaring through the air. You can also use this guide to write a CV for a work experience placement. Follow each step, tailoring your work experience CV to the industry and company you are applying to. The template is also compatible for a CV for work experience. We have killed two cows with one stone.